Several years ago while I was doing a project with design students at Technical University Eindhoven I met Jelle Zijlstra of Zijlstra Industrial Design. 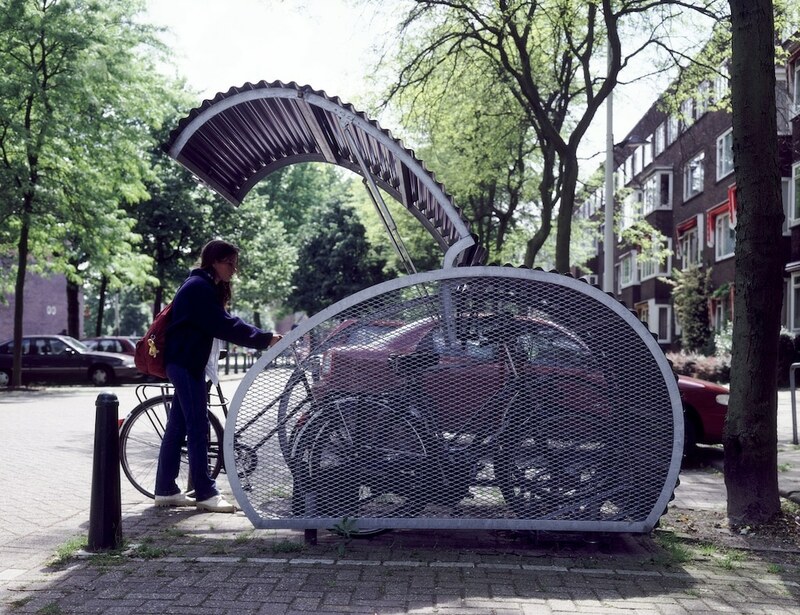 He’d designed the “Fietshangar“, a protective bicycle parking unit that replaces half a car parking spot. The concept is brilliant and philosophically I just love the idea that a single car parking space will be replaced by ten bike parking places. 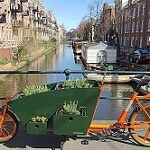 There are already a few hundred Fietshangars in use in various Dutch and Belgian cities and several hundred more are scheduled to be installed. 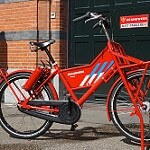 It is estimated that some 900,000 bikes are stolen each year in the Netherlands, about half of which were parked outside at home (statistics from CBS). Our experience selling city bikes at WorkCycles suggests that the perceived risk that a bike will be stolen (or vandalized or damaged) has a considerable influence on both cycling behavior and the sales of bicycles; There are a few people who’ve given up cycling after having their umpteenth bike stolen but more often people simply choose to ride crappy bikes to avoid theft and minimize the loss if their bike gets stolen anyway. The theft problem does vary widely by location; As expected it’s not a big problem in more upscale urban neighborhoods and certainly not in the villages and smaller cities. In the urban neighborhoods with mostly social housing and sketchier areas of the city center bike theft and destruction is really a plague. Just to note: The question of why fewer immigrants ride bikes comes up frequently but I’ve never seen anybody take into consideration that the areas with the highest concentrations of immigrant populations are lousy places to leave a bike outdoors. 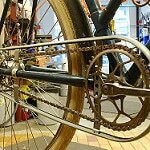 Few people have an indoor place to store a bike thus that tram gets more attractive each time you walk outside and find either your bike with a wheel flattened to the ground, your bike with the saddle slashed open, or no bike at all. 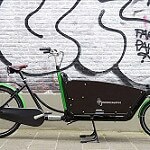 Thus the Fietshangar offers a solution for those (potential) cyclists who live where their bike otherwise wouldn’t be safe. 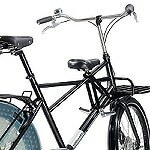 There are two versions: A standard model that offers a basic level of protection, and the heavier duty, more secure Fietshangar+. The latter version is normally installed by a city. 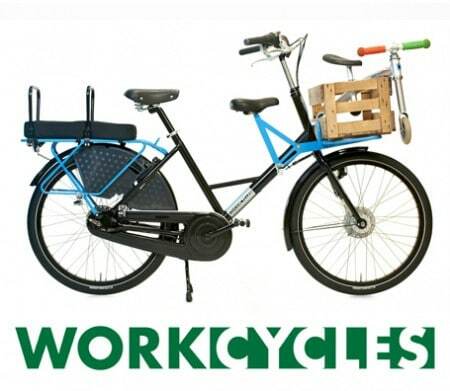 I’m not sure whether Fietshangars have been installed outside the Benelux but if you’re interested you can contact the manufacturer: Heimerink Wagemakers. Their site’s in Dutch but the contact info is at the bottom of each page. 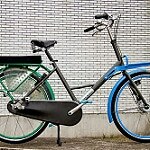 This entry was posted on Thursday, December 17th, 2009 at 23:41	and is filed under Bicycle parking and storage. You can follow any responses to this entry through the RSS 2.0 feed.You can skip to the end and leave a response. Pinging is currently not allowed. Thank you for posting this one ! That one has a similar shape but is clearly designed for more “friendly” environments. It wouldn’t last long on a Dutch street. 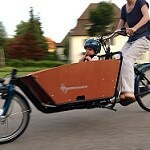 This reminds me of a recent New York Times article I read about the Velib program in Paris. 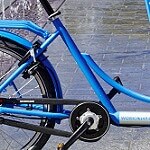 The article described theft and vandalism on bikes in the system, and how these bad deeds were generally done by disgruntled youth from the city’s immigrant neighborhoods. The reasoning was interesting. These kids didn’t ride bikes and didn’t want them for their own use. 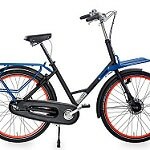 They enjoyed stealing and/or destroying as a way to seek revenge on the “bobos,” the bohemian bourgeois – a group that frequently uses Velib bikes and one that the kids despise. I’m wondering if something similar happens in Amsterdam. Are people in rough neighborhoods stealing bikes for personal use or to sell? This is a pretty straightforward transaction. Or, are they vandalizing or stealing to vandalize as a way to torment a group or lifestyle they don’t like. If it’s the later, I’ll inject a bit of armchair psychology. When I first came to New York, I was young and without much money. I lived in a bad neighborhood which was depressing and frequently pure hell. I noticed that the kids there never left, and often seemed to resent anyone who had experience with the world beyond their 10 block radius. I’m wondering if this is similar in Amsterdam and maybe a reason for these acts. Are they ways for people “going no where” to punish those “going somewhere” in both a literal and metaphorical way? 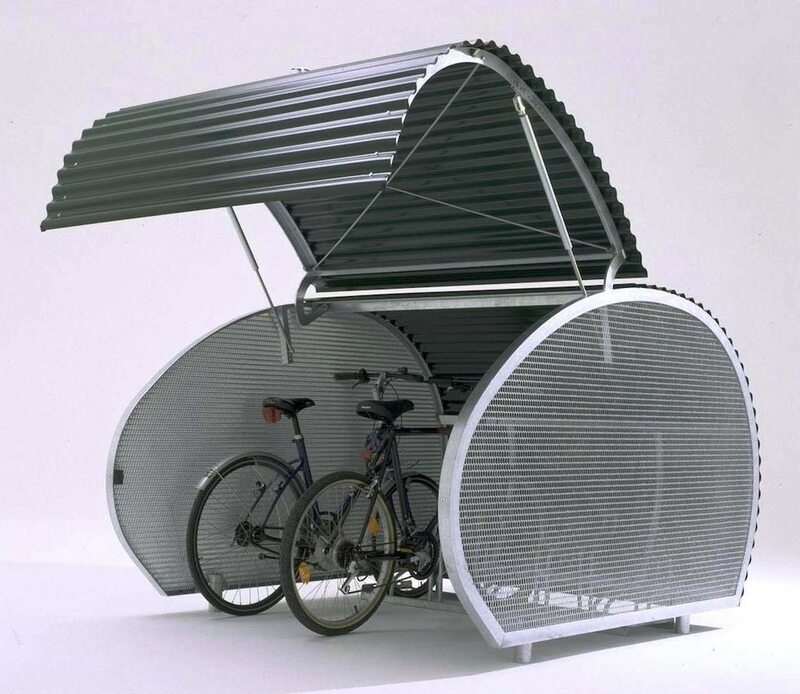 That is a nice bike hangar. I like the idea, that this kind of hangar is widely used in towns. 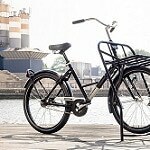 It could be the reason, why cycling is so popular in the Netherlands. Also, the design is kind of “tagging-proof” but a better solution could be to make it with murals on it, maybe. Hiring at-risk youth to make street furniture like this – and paying them well – could that be useful? You say the heavier version is installed by the city? What does this mean? The relevant neighbours make a formal request? The city pays for everything? How is access provided? People get keys, changeable combinations, smart cards? Who is responsible for maintenance? It is use-at-own-risk? I honestly have no meaningful insights into the motivations for stealing or vandalizing bikes but I seriously doubt there’s much “group or lifestyle tormentation” involved. My suspicion is that there are just more young men hanging around and that just leads to more petty crime in general. Note that there aren’t really any “rough” neighborhoods in Amsterdam nor are there many in the entire Netherlands. There are just poorer, uglier, more boring neighborhoods here. One can safely walk around anywhere in Amsterdam at night without much fear of violent crime. 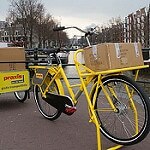 There are about 15 million bikes on the Dutch streets and several hundred Fietshangars. Even if every Fietshangar was filled to capacity they would only house a couple thousand bicycles… approximately 0.001% of the bikes here. 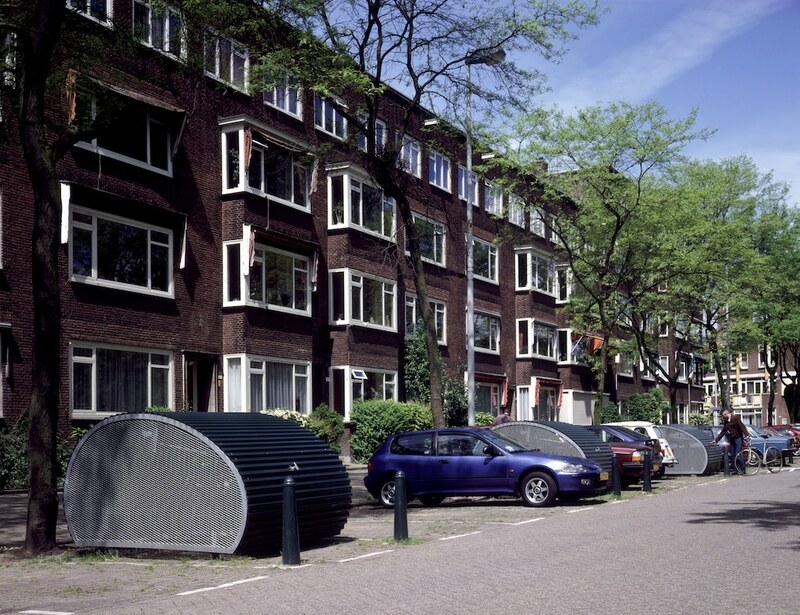 Thus, to answer your hypothesis: No, bike garages like this cannot have had a measurable influence on the popularity of cycling in the Netherlands. Yes, you’re on the right track: when the Fietshangar is placed on public property (including in a car parking space) the city purchases and maintains the unit and then rents it to the residents for a small fee. On their site are descriptions of how the process works (in Dutch of course) including how residents can submit requests to their city. But the bottom line is that the city must first “get with the program” and possibly accept that parking revenues will be lost. I bet bikes will rust fast in that hangar. It needs a chimeny to tent out moisture. I dont think the mesh on the side will be good enough in a city enviroment. 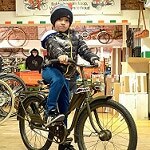 Axel, Most bikes simply live outdoors here. 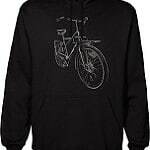 Why do you think that bikes will rust faster in the sheltered hanger than in an unsheltered, outdoor bike rack? Could keep me in touch with distributor in europe? You can contact them for more information. Good luck. 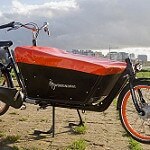 Please visit our website http://fietstrommel.nl/en/ to check for more information about the Fietshangar (bike hangar). Our company is based in The Netherlands and we don’t have a distributor in Spain, but a few months ago we shipped a bike hangar to Llavorsí, Spain (Catalonia). So it is possible. If you require any support, please let me know.